Mira is twice Sanjin’s age. How old are Mira and Sanjin now if in 10 years the sum of their ages will be 89. Use s to represent Sanjin’s age. The gradient of a line can be found by the ratio of the vertical rise to the horizontal run between any two points on the line. y=mx+b, where m is the gradient and b is the y-inte­rcept.  ax+by­+c=0, where a, b and c are constants and a ≠ 0, b ≠ 0. In this equation, the gradient m = (-a)/(b) and the y-inte­rcept = (-c)/(­b)can be found by rearra­nging the equation to make y the subject. There is no need to plot a number of points to graph linear relati­ons­hips. Because only 2 points are needed to define a line, use the y-inte­rcept as one point on the graph and the gradient, m to locate the second point. Once 2 points are known, a straight line can be drawn through them. If the y-inte­rcept is not the origin, then first identify the y-inte­rcept from the equation before using the gradient to find the second point. Using the equation y=mx+b and substi­tuting x = 0, you get y = b. Any parallel line will have a gradient of 2. Any parallel line will have a gradient of - (2)/(3).